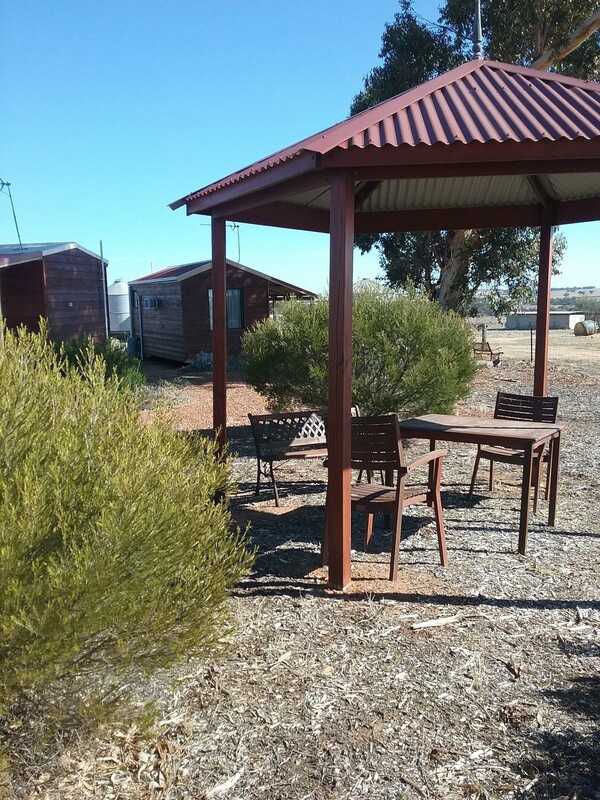 Enjoy the peace and tranquillity of this 220 acre working farm just out of Meckering, a retreat for all seasons. 3 x Cabin style Accommodation, containing 1 queen sized bed with additional folder beds if required. The Salmon Gum, York Gum and Sugar Gum cabins contain a queen bed, TV/DVD facilities, private bathroom, BBQ and great views. Cost $90.00 per cabin, limited kitchen facilities, kettle, Microwave, Toaster and fridge. All with linen provided.